for $204,750. The lot size is 21.01 Acre(s). 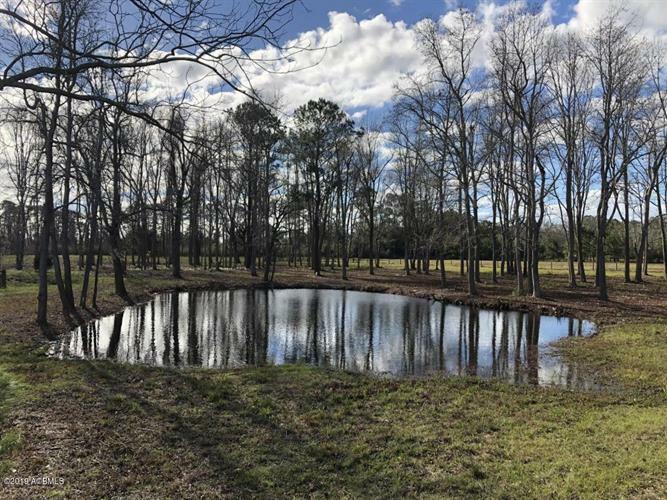 This 21 +/- acres of primarily open pasture land on St. Helena Island just outside of Beaufort, SC is quite the gem, featuring separated fenced pasture areas, mature hardwood trees, a pond, open field areas, and hidden future homesite area. It lies in a rural agricultural section of Beaufort County, surrounded primarily by open farm land, timber/recreation tracts, rural residential, and is seconds from saltwater. The tract has been set up for a homesite, pond, fields, and fenced pasture areas, featuring multiple live oaks and palmetto trees along the classic Lowcountry landscape. There is a well already in place, and a septic permit has been previously acquired for a new home here. There are 70 +/- acres that adjoin that could possibly be added on if desired.